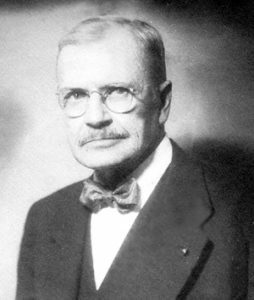 HVA founder, Charles Downing Lay. One of history’s first and foremost landscape architects, Charles Downing Lay had a vision of a healthy Housatonic River Valley. In 1941, Mr. Lay founded the Housatonic Valley Conference, the organization that became today’s HVA. To read more about the life and ideas of this extraordinary man, click here. In 1993 the Housatonic River Watershed Association merged with HVA. Founded by Frances Paddock in the 1960s and based in the Berkshires region of Massachusetts, HRWAs mission was naturally aligned with HVA in the headwaters region. This merging allowed HVA to expand its services to include the entire watershed, and to open a new office in Massachusetts. Mrs. Paddock remained an active member of HVA’s board of directors until her passing in 1999. She was instrumental in the 1997 creation of the Lennox pedestrian bridge. She and her husband also donated a key property to the Housatonic River Greenway. Restored five miles of fish habitat by removing the first dam ever to be officially dismantled in Massachusetts, restoring several miles of flow and fish habitat to the Housatonic River in Lee (Crane and Co., state agencies (2000). Cleaned up raw sewage by finding and fixing five pipes leaking raw sewage into the river through Pittsfield (2007). Restored river bank habitat and river water quality by replanting badly eroded shoreline along a half-mile stretches of the Tenmile River, Wassaic Creek, Webatuck Creek and the Swamp River, and along the Housatonic in Housatonic, Hinsdale, Lee and Shelton (2000-2009). Uncovered illegal toxic waste dumping on the Tenmile that is now being prosecuted by New York Attorney General. Found and stopped illegal construction dump along Wassaic Creek. Protected the health of the Swamp River by launching a Watershed Partnership in 2009 in Dover and Pawling with all key science and community group stakeholders. Swamp River is the last tributary in New York to be assessed through this partnership. Protected river health and restored fish habitat in Massachusetts by crafting the first Dam Flow Management Plan with MA Riverways, lake associations and others. Removed thousands of tons of garbage from the Housatonic River and tributaries. Led the first Housatonic river-long cleanup working with 50 grassroots groups who recruited 1,500 people to clean up 140 tons of garbage from the banks and waters of the entire river (1993) and continued annual river-long cleanup through 2000). Collected everything from a couple of cars to three kitchen sinks. Numerous cleanups take place each year in the spring and fall. Protected the health of Beartown Brook and mountain top wetlands by stopping an expansive expansion of the Oak and Spruce Resort in Lee (2002). We were the only group to publically demand that GE and EPA re-start stalled negotiations. This was the push that ultimately led to a cleanup agreement. In the 1970s, HVA did the first river testing that proved likely PCB contamination. In the 80s and 90s we pushed river cleanup through a succession of troubled government initiatives that ultimately rallied with new EPA leadership and new grassroots initiatives in the Berkshires. In 2000, we celebrated the signing of the first PCB cleanup plan for the Housatonic River. PCB levels dropped for the first time in the first half-mile of river to be cleaned in 2007—from 120 parts per million to 0.24 parts per million! In 2011, we teamed up with the Berkshire Environmental Action Team (BEAT) to complete an assessment of the Housatonic watershed’s stream crossings in Berkshire County with funding provided by the Massachusetts Environmental Trust and the Natural Resources Damages Fund. The River Continuity program works to reduce impediments to the movement of fish and other wildlife by replacing culverts that are prevent passage. Presented a Still River Watershed Summit in 2014 to kick-off a watershed planning process for the Still River Watershed to discussed watershed management issues including water quality, flooding and river-based recreation. In 2015, restored the Furnace Brook Fishway in the Town of Cornwall to allow trout to swim upstream to spawn for the first time in 20 years! Conserved 14,500 acres of critically sensitive meadow, forest and wetland habitat shared by Dalton, Hinsdale, Peru and Washington by leading the effort among town leaders and residents to create a land-use stewardship plan for the Hinsdale Flats Area of Critical Environmental Concern—the headwaters of the East Branch of the Housatonic River. Saved 740 acres of meadows and forests by defeating the proposed Yale Farm golf course and subdivision. Played strong collaborative role with community groups and Trout Unlimited in Norfolk and Canaan. HVA’s GIS work and soils analysis convinced the federal Army Corp of Engineer’s and Environmental Protection Agency’s opposition to the proposal. In 2007 we demonstrated that the golf course could be built without the planned destruction of wetlands and stream, and this formed the basis for the Connecticut Department of Environmental Protection’s tentative denial of the project. In 2009 the applicant withdrew the proposal. Saved 163 acres of Candlewood Mountain by defeating an ill-conceived and out-of-scale dense mixed use 500+ unit development in New Milford (2008). We collaborated with Weantinoge Heritage, Planned Development Alliance and neighbors. Saved 90 miles and hundreds of acres of wetlands, streams and scenic hillsides in the heart of the river valley threatened by the route of a proposed natural gas pipeline. We helped create grass roots groups in 28 towns. In the mid-1980s we analyzed the proposed route of the Iroquois Natural Gas pipeline from Canada to Long Island, discovering that thousands of acres of wetland and watercourses would be destroyed by a 50-foot clear-cut swath through 28 communities. We also discovered that the proponents were requesting a cursory and abbreviated environmental review process from federal agencies. We rallied community activists and organized the efforts of community groups in every town, hiring legal representation in Washington D.C. to help everybody understand and successfully participate in the federal and state regulatory procedures. We represented thousands of people. We won a full environmental review of the proposed route. In 1986 we won re-location of 95 percent of the pipeline route away from sensitive ecosystems and onto existing rights-of-way. Protected 1,500 acres of wilderness, 200 acres of Conservation Fund land and 100 acres of prime farmland in the heart of the scenic Housatonic River corridor from Kent to Cornwall and Sharon; created the longest section of riverfront Appalachian Trail on the eastern seaboard. In the late 1970s we led negotiations among the Stanley Works Company, Kent officials and the National Park Service to save both sides of the Housatonic River corridor from Kent to Cornwall and Sharon (part of a National Park Service effort to protect the Appalachian Trail from Maine to Georgia. In 1978, HVA protected the first 670 acres north of Kent village with an easement from Stanley Works. In 1982 we completed the deal to protect the remaining 830 acres. In 1999 we pushed the Conservation Fund to protect 200 adjacent acres rather than sell it for development—their original intent in accepting the land from Stanley Works. We connected DEP officials with Fund leadership. In 2000 we saved the adjacent 106-acre Taylor Farm in Cornwall. In 2005 the state DEP accepted the donation of land from the Conservation Fund—an HVA victory. To conserve land along both shores of the Housatonic River from its source in Hinsdale, Massachusetts to Long Island Sound, we launched the Housatonic River Greenway. We protected another 21 miles of Housatonic Riverfront in Massachusetts and Connecticut. First four miles protected in Oxford in 1994. Next 10 miles dedicated in New Milford in 1999. Through 2009 we have added another half mile each in the following towns: Shelton, Ansonia, Stratford, Kent, Cornwall, Sharon, two miles in Derby, two half-mile stretches in Salisbury, and one mile in Dalton and Hinsdale. Saved the scenic ridgeline from Danbury to Canaan by stopping Connecticut Department of Transportation plans to extend Super 7 from Norwalk to Bennington, Vermont. In the 70s, our court actions caused delays and the state and federal agencies lacked funding to expand Super 7 beyond Brookfield. In the 80s we hired a traffic engineer and worked with community groups, town leaders and state legislators to object to the state’s renewed plans and submitted our own “least build alternative” to alleviate traffic congestions and substantially reduce environmental impacts. In 1992 we won the least-build decision from the state. In 2005 the least- build option won funding and was implemented, putting to rest fears of a near-term reoccurring Super 7 proposal. Won temporary protection for five miles of riverfront from Gaylordsville to Kent Center, 800 acres of land on top of Skiff Mountain in Kent, and 4,000 acres in other parts of the river valley in Connecticut that would have otherwise been sold by Northeast Utilities for development. In 1998, when the state was going to force NU to sell its landholdings—more than 6,000 acres of river valley land—no single land trust could go to Hartford to stop it. HVA hired a lawyer and led a coalition of local groups and statewide environmentalists to argue before the Connecticut Department of Public Utility Control, Office of Policy and Management and Office of Consumer Council against the forced sale of these asset lands. We won state government decision not to force land sale in 1999. In 2004 we negotiated an MOU (Memo of Understanding) between the state DEP and NU to identify and publish a list of asset lands with conservation value and guarantee that conservationists get first dibs. Created a conservation vision for doubling the amount of land we conserve in northwest Connecticut by creating a 28-town Litchfield Hills Greenprint Collaborative to identify and protect our most valuable farms, forests and water supply lands. Completed the most comprehensive data base of protected land and important conservation lands throughout the region (2007). Formalized Greenprint our top conservation priorities (2009). Permanently protected 86 acres of the White Flower Farm in Morris and 70 acres along the River in Salisbury with landowner and the Trustees of Reservations (2009). Secured critical funding for purchase of the 420-acre Vagliano property in Norfolk, CT., completing the State of Connecticut’s largest land purchase of the year (2018). Connected a new generation, and the public to the wonders of the Housatonic River. Continued the fifth year of Still River Day in Danbury for fourth graders throughout the city. Watershed Health Index Map – the only comprehensive source of mapped water quality information for the entire Housatonic Watershed. Sound Science – a teachers’ guide to watershed education that meets Connecticut’s teaching standards and links to Long Island Sound. Landowner and Land Use Board guides for including Low Impact Development techniques into development plans to reduce polluted runoff. Pocket Guides for the public to the Housatonic Estuary, the Heart of the Housatonic in Northwest Connecticut, the Heart of the Housatonic from New Milford to Long Island Sound and the Heart of the Housatonic from Pittsfield, Massachusetts to Kent, Connecticut. Paddling Guides to the Housatonic River in the Berkshires and Connecticut. Launched our series of family paddles along the Housatonic River beginning in 1995. Created dozens of safe access sites for people to explore and enjoy nature in our watershed. Kicked off the creation of four new Housatonic River access sites in the Berkshires in 2009. Created a plan for a new fully-accessible site in West Cornwall for 2010. Launched Low Impact Development workshops in the southern Valley and in the Tenmile Valley in 2008 and 2009. Launched a River Education Signage program with Sikorsky Corporation in Stratford that will continue upstream.